With the colourful arrival of autumn now is the time to celebrate the vibrant foods of the season. 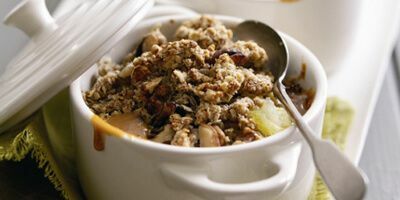 After woodland walks or blustery days by the coast, coming home to a hot soup or an oven-baked crumble is just what’s needed. So why not cook one of these hearty dishes, bursting with flavour for friends and family? These quick and simple recipes will deliver heaps of taste when you’re strapped for time. Ease into the season with our sweet and savoury ideas. This comforting, quick dessert takes just 15 minutes to prepare. On busy evenings our oaty caramel crumble will be a welcome pleasure at the end of a long day. Why not try it tonight? On those chilly autumn nights this twist on a traditional British favourite is a hug in a bowl. 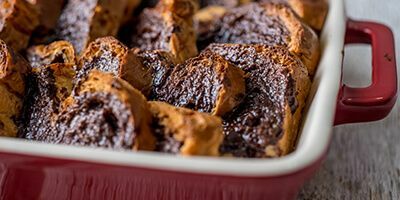 With only three steps to the whole recipe, you’ll be relaxing with this pudding in no time! Cosy up with these warming, spiced puddings. The delicate ginger sponge and juicy fruits will keep the cold at bay. 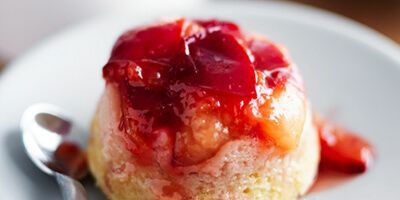 If you’re feeling adventurous you can try substituting the plums for apples, pears or an autumnal fruit of your choice. 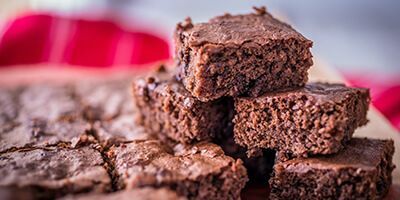 Rich, soft and packed with chocolate, these brilliant brownies are a treat to come home to, and great to have on hand if visitors drop by. As an added plus, they take just 5 minutes to prep! Why not try them tonight? 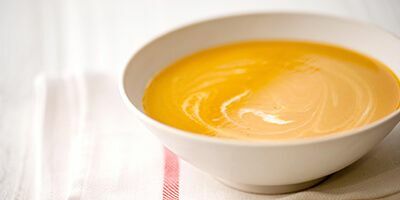 Liven up your evening meal with this colourful and aromatic squash soup. Lightly scented with spices and orange - it’s satisfying and easy to make.